Hollywood Florida is a city rich in history. Joseph W. Young, Jr. envisioned the city in 1920 and created the city plan with its signature broad boulevard (Hollywood Boulevard) that had three circles in it. Spending million of his own money, he built several resort hotels, a country club, various office buildings, a railroad station and the bridge on Hollywood Boulevard that crosses the Inland Waterway. In 1925, Hollywood incorporated as a city and Young gave all of these structures to the city along with land for parks. Innovative for his time, Hollywood had underground power cables, telephone system and sidewalks with public lighting. He served as the city's first mayor. Today, Hollywood is a thriving city that is home to an estimated 141,740 residents, making it the 12th largest city in Florida. Hollywood has approximately 5 to 6 miles of beautiful beach within its 31 square miles. The Broadwalk in Hollywood is a popular winter destination for many seeking refuge from the cold northern winters. In today's economy, families are feeling the stress of financial pressure from all areas. Whether it's a job loss, mortgage foreclosure or credit card companies raising their rates astronomically - financial issues are at the forefront of everyone's thoughts. In meeting with clients during the initial (and free) consultation, a common theme among people is that they don't know their rights under consumer credit laws. 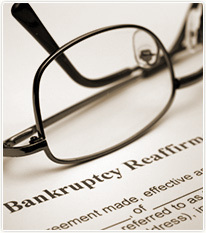 Our free consultation does more than talk about bankruptcy. Sometimes bankruptcy is not the best option. Your entire financial landscape is discussed and advice is offered on what options are available to help you get your peace of mind back. If you've been sued by a credit card company and don't know what to do - call and set up an appointment for your free initial consultation. You probably don't know that your credit card lawsuit has to have certain documents attached to it or it can be dismissed as a matter of law. If your creditors threaten to garnish your wages unless you pay them a certain amount by their deadline - don't let them stress you out! The Bankruptcy Law Firm of Clare Casas is here to answer your questions and help you decide on what your best option is. You don't have to live with stress and in fear of your bank accounts being frozen, wages garnished or property seized. Debt relief is available to you. You may not know how you got into the situation that you're in but there is a way out of it. Directions to the Bankruptcy Law Firm of Clare Casas from Hollywood, Florida are as follows: From the turnpike: Take Florida's turnpike north and exit on Griffin Road. Go East for approximately 3 miles until you get to the light right before University Drive. Make a U-Turn at that light and make a right onto S.W. 75th Way. Make your first immediate left and the building will be to your left. Parking is available in front of the building or to the left of the building. We are located in the Offices of Willow Grove. From Hollywood Boulevard: Take Hollywood Boulevard to State Road 7 (441) and go north. On Griffin Road make a left and go west approximately 3-4 miles until you get to the light right before University Drive. Make a U-Turn at that light and make a right onto S.W. 75th Way. Make your first immediate left and the building will be to your left. Parking is available in front of the building or to the left of the building. We are located in the Offices of Willow Grove.